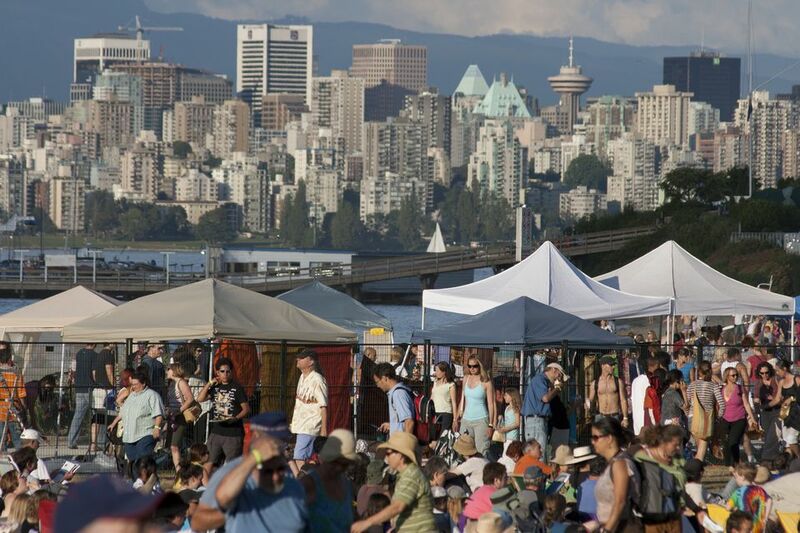 Like summer's other internationally-acclaimed events--the International Jazz Festival and the Celebration of Light Fireworks Competition, to name just two--the Vancouver Folk Music Festival is as beloved by locals as it is by the destination-seekers it attracts. Named one of the ten best outdoor concerts in North America by USA Today, the three-day festival includes over 70 hours of world, folk and roots music on eight outdoor stages, all overlooking the picture-perfect vistas of downtown Vancouver and the North Shore mountains. An exciting and eclectic mix of musical genres, the "folk" in Folk Music includes everything from blues and hip hop to gospel and more. Getting to the Vancouver Folk Music Festival: There is festival parking available outside Jericho Beach: head west along 4th Avenue, past Wallace St., and look for the festival parking signs. Bus #4 will also take you directly to the site. Complete Festival Line-Up & Schedule: Vancouver Folk Music Festival Official Site. The Vancouver Folk Music Festival attracts world-class artists and performers from a wide range of music genres. For 2016, in addition to seven beachfront stages, the festival will also host an Artisan Market & Folk Bazaar, a beer garden, and loads of festival food. Kids 12 and under get free admission to the Folk Festival, plus an array of artsy activities to keep them busy, hosted by the Festival's Little Folks Village. (Note: This isn't childcare / babysitting; children must be accompanied by an adult.) Activities include clay making, painting, lantern-making, face painting, and a Creation Station. Tickets to the festival are sold per day (so even if you want to see only one concert, you must purchase a day ticket) or you can buy the all-weekend Festival Pass. Kids under 12 get in free; student, senior (65+) and youth (13 - 18) discounts available. Tickets are can be purchased at the gate or online: Online Tickets for the Vancouver Folk Music Festival. Early bird discounts for tickets purchased before June 14, 2015, are also available through the site.